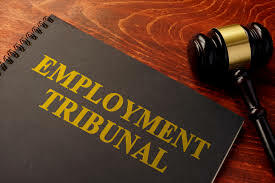 Employment tribunal representation is critical to maximise the chances of success in what is a contentious issue with both sides with a lot to lose financially and reputationally . It is a very anxious time whether deciding to pursue an employment matter at an employment tribunal or if your business have been named as a Respondent in a case. As an Applicant or a Respondent in a case, an accurate and timely evaluation of the merits of the case is essential and can save money in the long term. As well as an evaluation of the case, our employment tribunal representation service gives clients advice and support to navigate through the employment tribunal procedures. Responding to requests for information is time consuming and often responses need to be submitted to specific deadlines. Fail to respond and you may lose your right to make a claim or defend the case. If you make the wrong response it can have critical consequences to your case; in short it can be a confusing minefield to the inexperienced and unwary and be a time consuming distraction from your business or getting on with your life. HR First, is a HR consultancy which provides a complete Employment Tribunal Representation service, giving you and those witnesses involved, peace of mind and more importantly the time and energy to focus on what you do best; developing your own business or to emotionally progress with the things in your life. Our approach to employment tribunal representation is pragmatic, giving you employment law advice and support to understand the tribunal procedures. So from an informed stance you can direct the way you want the case to be managed. 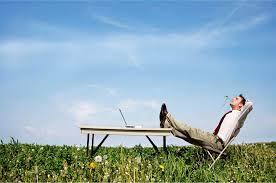 Our Employment Tribunal Representation service respects and adheres to the client’s preferences in handling the case. Our HR consultants have extensive experience providing advocacy services to employers and employees. HR First reviews the merits of the case reviewing rights under the employment contract and statutory rights. Our HR consultants are able to prepare the client fully for the hearing, including preparing bundles and witness statements. HR First represents clients on the day of the hearing supporting witnesses as they go through what can be a daunting and intimidating experience. Prior to instigating a tribunal application employees and employees could consider settling an employment dispute through a settlement agreement or other employment dispute resolution options.